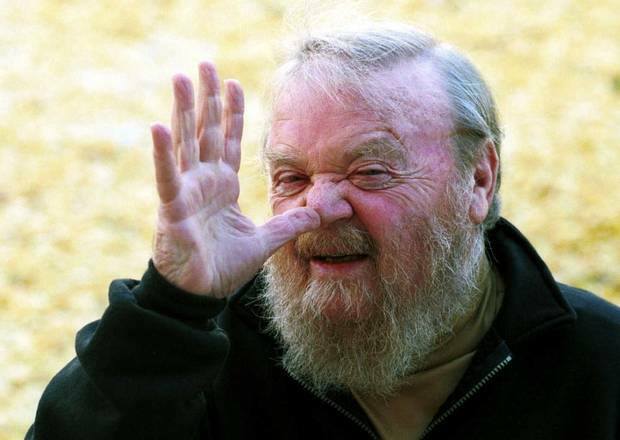 Farley McGill Mowat, OC (May 12, 1921 – May 6, 2014) was a Canadian author and environmentalist. His works were translated into 52 languages, and he sold more than 17 million books. He achieved fame with the publication of his books on the Canadian north, such as People of the Deer (1952) and Never Cry Wolf (1963). The latter, an account of his experiences with wolves in the Arctic, was made into a film of the same name released in 1983. Mowat was born May 12, 1921 in Belleville, Ontario, and grew up in Richmond Hill. His great-great-uncle was Ontario premier Sir Oliver Mowat, and his father, Angus Mowat, was a librarian who later fought in the Battle of Vimy Ridge. Mowat starting writing, in his words “mostly verse”, when his family lived in Windsor from 1930–1933. In the 1930s, the Mowat family moved to Saskatoon, Saskatchewan, where as a teenager Mowat wrote about birds in a column for the Saskatoon Star-Phoenix. During this time Mowat also wrote his own nature newsletter, Nature Lore. After serving in World War II, Mowat attended the University of Toronto. His son Sandy was later the editor-in-chief of The Medium, the student newspaper of the university’s Mississauga campus. “Whatever you do, remember your readers first and foremost! If you forget them your purpose becomes frustrated and blunted. You can’t lose them! “When Farley Mowat came into the studio, every sense was heightened. I never knew what I was in for, except that it would surprise, whether it was a funny story about the history of what is worn over and under a kilt or a sustained cri de coeur about Canada’s stuck-in-glue lethargy on matters environmental. It helped to have a dram of something standing by, especially if it was an early morning interview. It never clouded him or stopped him from using words like evanescent, for instance, to describe the fading firmness of cottonwood fluff as bedding when he was out camping as a boy.” ~ Shelagh Rogers, CBC … More.